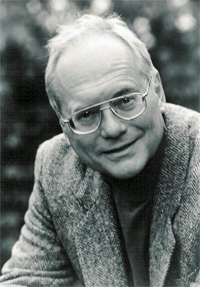 Max Pommer was born in Leipzig in 1936. His international breakthrough as a conductor came with the "New Bach Collegium Musicum", which he founded 1978 and brought to international recognition. The recordings made by this ensemble received international awards and were well known in Europe and the USA long before the German reunification. Max Pommer studied conducting and piano at the Leipzig University and Academy of Music. From 1987-1991, he was Chief Conductor of the Leipzig Radio Symphony Orchestra. From 1990-2003 he was Professor of Conducting at the Saarland University of Music. He founded the "Saar-Lor-Lux Orchestra", which raised wide attention for its artistic contribution to the European unification. In wide demand as a guest conductor, Max Pommer works regularly with orchestras such as the St. Paul Chamber Orchestra, Orchestre National Bordeaux Aquitaine, Mozarteum Orchestra Salzburg (Salzburg Festival 1991, tours through Spain and USA), South-West Radio Orchestra and others in Germany. Since 1991 Max Pommer has been closely connected with the Hamburg Camerata- one of the excellent Hamburg ensembles -whose Artistic Director he has been since 2001. Since 2000 he has been first regular guest conductor of the Holland Symfonia (former Noordhollands Philharmonisch Orkest). The list of Max Pommer's CD recordings is long and varied. For Ondine, he has recorded works by Einojuhani Rautavaara, Kalevi Aho and Kurt Weill.